Looking for a unique dining experience at your upcoming gathering? 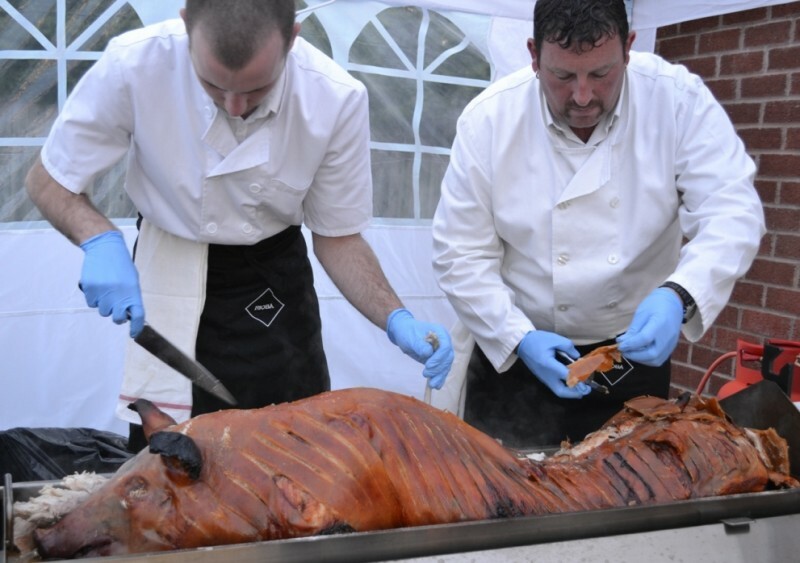 If so, a mouth-watering hog roast in Northampton is the ideal way to impress your guests. Whether you’re organising a wedding with Brampton Grange, a conference in Highgate House, or a party at Dodmoor House, our hog roast catering service is a superb accompaniment for any type of gathering or venue. You’ll find us competitive on pricing, as we offer a range of packages to suit many budgets. Within our menu you can choose from a range of fresh and locally sourced meats such as rotisserie chickens, roasted lamb, and a carvery choice of turkey, pork, beef and gammon. Of course you can also choose to keep things traditional, and savour a succulent whole hog roast, cooked in the finest cider. With a selection of sauces and sundries to accompany your main dish, you’ll have all you need for the perfect feast. 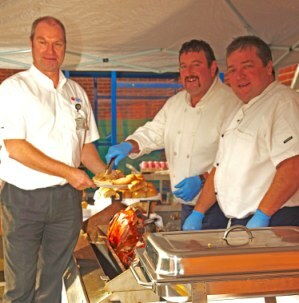 Our expert chefs offer a hog roast in Northamptonshire like no other. 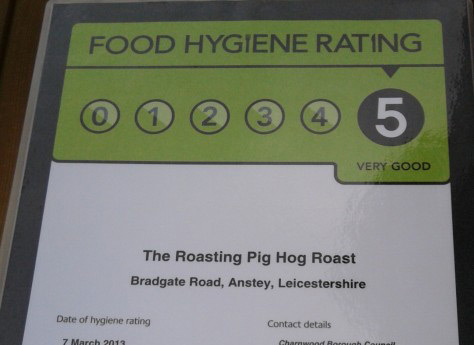 Boasting a five-star hygiene rating, our fully uniformed staff are ready to deliver a standard or bespoke package that can cater to any dietary requirement. 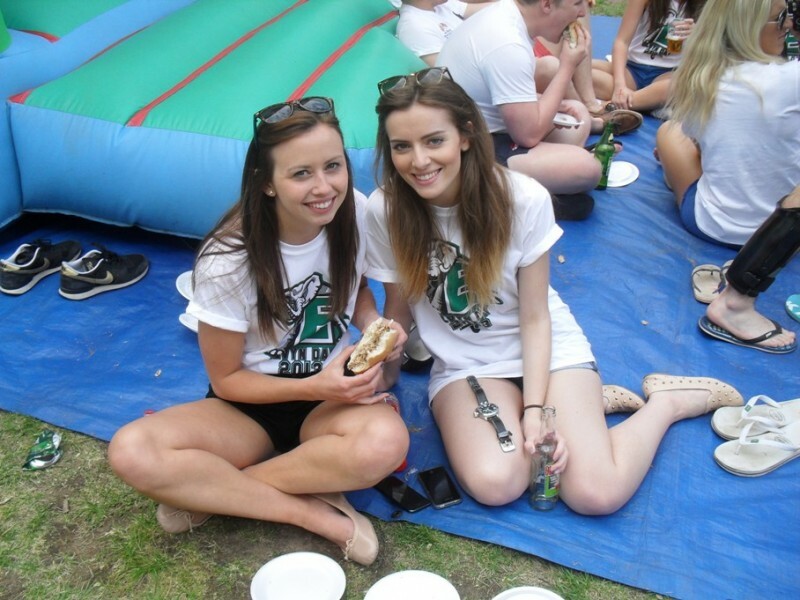 Both convenient and stress-free, our hog roast catering service lets you avoid any potential hassle, and get on with enjoying your event. If you prefer to simply book our hog roast equipment on its own, we also provide a hog roast hire service that gives you the chance to be chef for the day. Available anywhere within a 30 mile radius of Northampton, you can choose a delivery and collection option from our expert team. This can be provided on an equipment-only basis, or with a whole hog to cook too. Regardless of the hog roast hire options that you choose, all deliveries come with a full demonstration. Our experienced staff are ready to offer all the instructions and tips you need to ensure your hog roast is perfectly cooked, and that your day goes without a hitch. Contact our office today via the quick quote form, and we’ll be happy to answer any questions you may have, as well as suggest the best plan to suit your needs. We can also offer a quotation based on your location, number of guests, and of course your choice of foods.